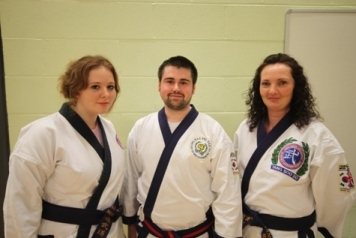 My name is David Smythe and I am the Chief Instructor of the Pendlebury Centre, providing classes for adults, children and families, from beginners to blackbelts and beyond. – Family friendly classes from 3yrs to 63yrs+! I am a 4th Dan Blackbelt Instructor in the traditional Korean martial art of Tang Soo Do and have been teaching professionally for over six years. I’ve helped many students achieve their goals including improved fitness, weight control, confidence, self discipline and self control. So if you think you might like to try something new, make new friends that are like minded or improve your fitness, confidence and self belief, then why not come along and try a free lesson with one of my instructors and take that first step. Please call or fill in the form opposite for prices, timetable and details of our web special offer! For martial arts, karate & kickboxing classes in Pendlebury area.